I may or may not have a specific reason (Shane is up to something) for making this outstanding series of Deadlands-related comics my Pick today. The alternate history of Billy the Kid is a great place to start, though they are all freaking awesome. 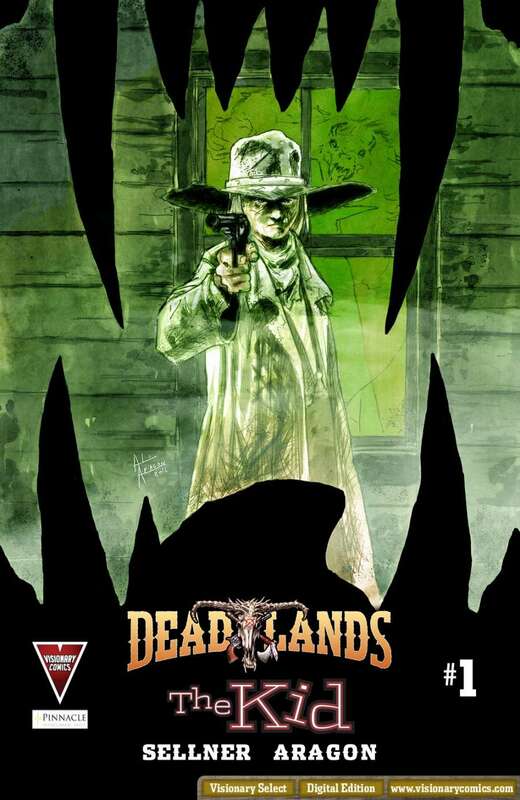 Visionary Comics and Pinnacle Entertainment brings Billy the Kid to DEADLANDS! 12 years old, family wiped out, and all alone in the middle of the wild Weird West… hunted by werewolves. Grab a gun, there’s killin’ to be done! The print backup series collected in its own special edition.